Text & Pic by: A.B. ABDUL GAFOOR-Ampara District Group Corr. 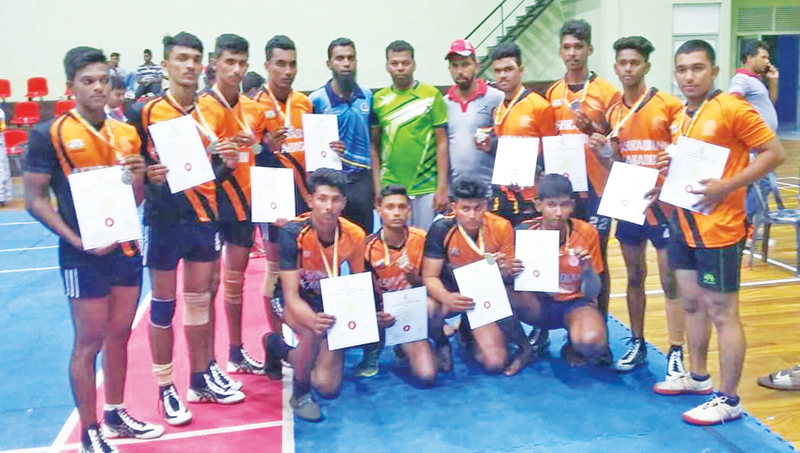 Al-Ashraq National School in Nintavur, Ampara became the first school in Ampara district to win a silver medal in Kabaddi sport when they won the second place in recently concluded National level Kabaddi competition worked off in Kandy. The Principal of Km/Km/Al-Ashraq National school told the Daily News that this victory is a milestone and historic achievement by a Nintavur school as it is the first time a school in Ampara District took part at a National Kabadi Competition. Nintavur is famous for Kabadi since 1996. The clubs and schools won many awards in Kabadi. Some students took part in international level Kabadi events too. M.T.Aslam Saja is one of the national assets in the filed of Kabadi produce from Nintavur. Aslam Saja is a player of Sri Lankan Kabadi team. He took part in the Asian Game recently.